Looking for an easy holiday craft to do with the kids? 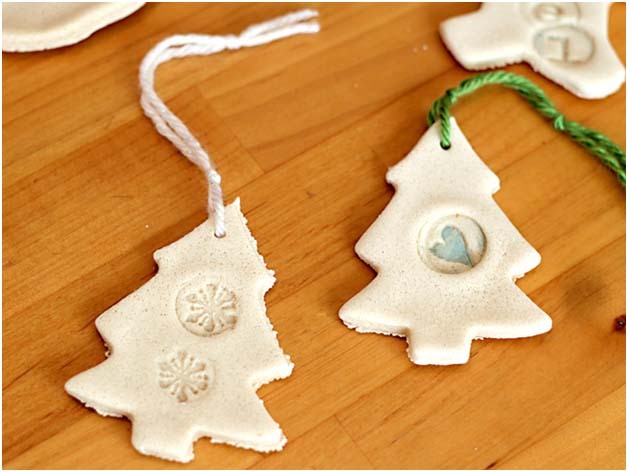 Chances are very high you already have the three simple ingredients you need to whip up some salt dough for making ornaments. 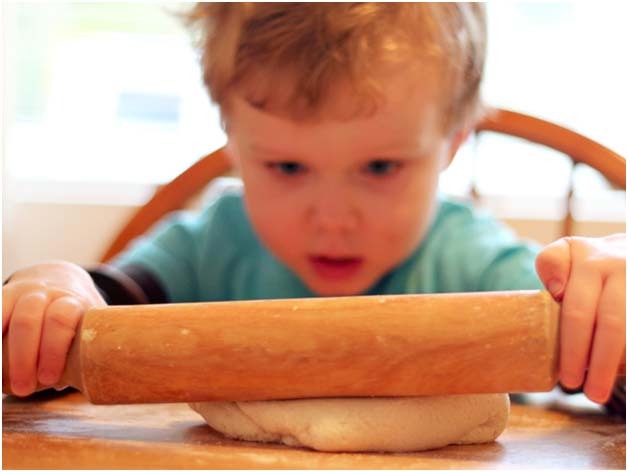 Once the dough is made, the project can be as basic or fancy as you like – making it perfect for kids of all ages. 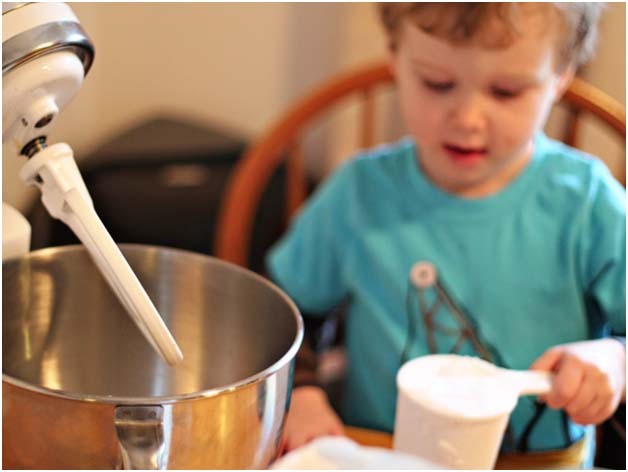 Start by combining 1/2 cup of salt, 1/2 cup of water, and 1 cup of flour in a mixer. Once the mixture has formed into a ball, knead by hand for 5 – 7 minutes or until it becomes smooth like play dough. Then roll your dough into a thin sheet. Now’s the fun part. 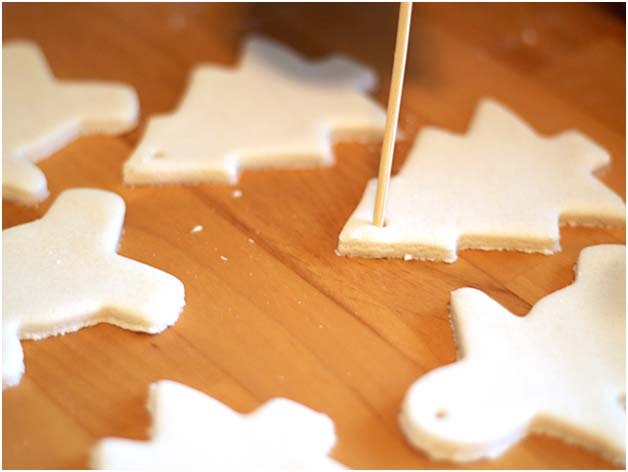 Break out your seasonal cookie cutters and make whatever shapes your heart desires. 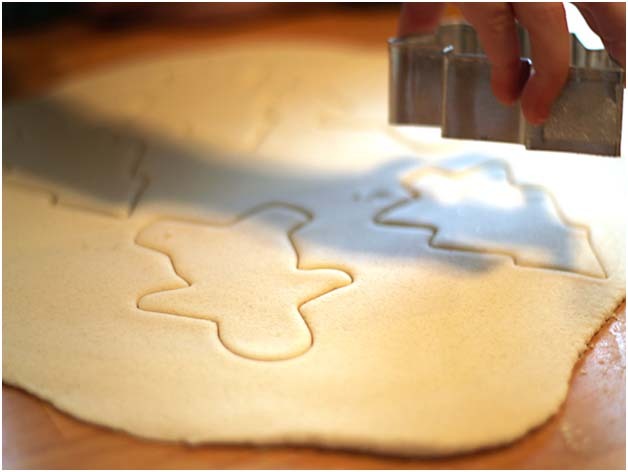 Place your ornaments on a cookie sheet and dry them out in an oven set to 200 degrees Fahrenheit for about 4 hours. 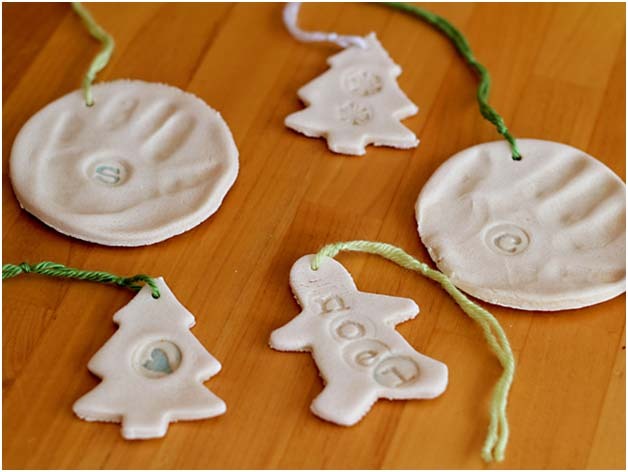 Once the dough is hard, add string or yarn and hang them on your tree.